One of the best looking boots out there for the 2018 season the Ender from K2 comes in with mid flex and tons of spec. The Ender is a traditional lace boot with boa mobility conda inner boot lacing system. This is the same as what you find on other K2 Conda boots with a freestyle edge to it, it is a BOA dial on the side of the boot which controls the inner boot heel hold. This work by a slightly softer panel which pulls you back and down to give amazing heel hold while allowing a little more lateral flex so you can bust a method or tweak that grab. To make sure these last all season long K2 added their new Endo 2.0 which is a new textured urethane insert which supports the spine and side of the boot to make sure the boot doesn’t break down over a season / seasons. 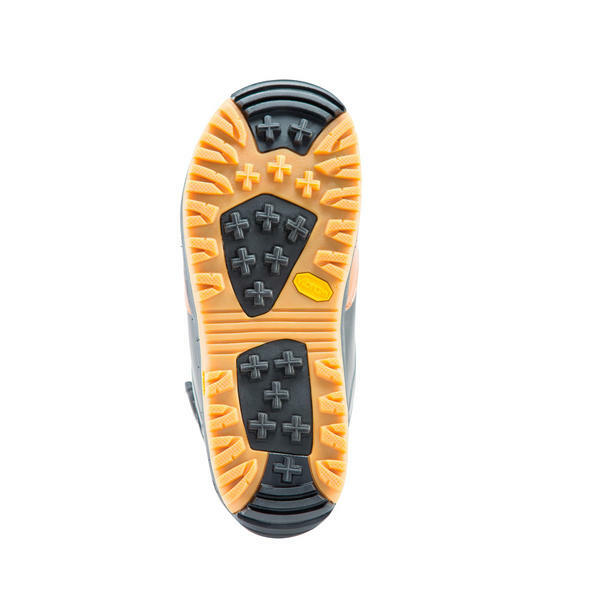 The Ender also uses a Vibram V4 sole which is rugged and tough, ensuring grip and durability are there from day one to day 100+. The liners are the Intuition Pro foam 3D liners so fully heat mouldable not just areas in the liner like other brands use, Intuition are renowned for being the best liners in the industry. These liners also come with internal and external J bars for excellent heel hold. 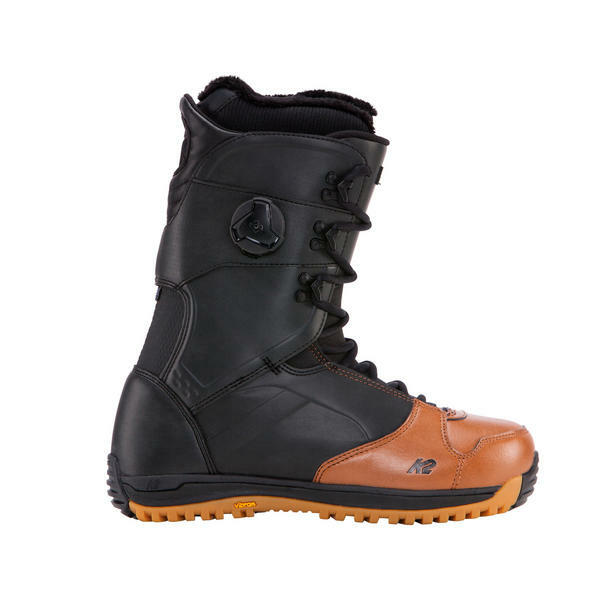 Great for any all mountain rider who like a mid flex boot or park riders that want their boots to last.